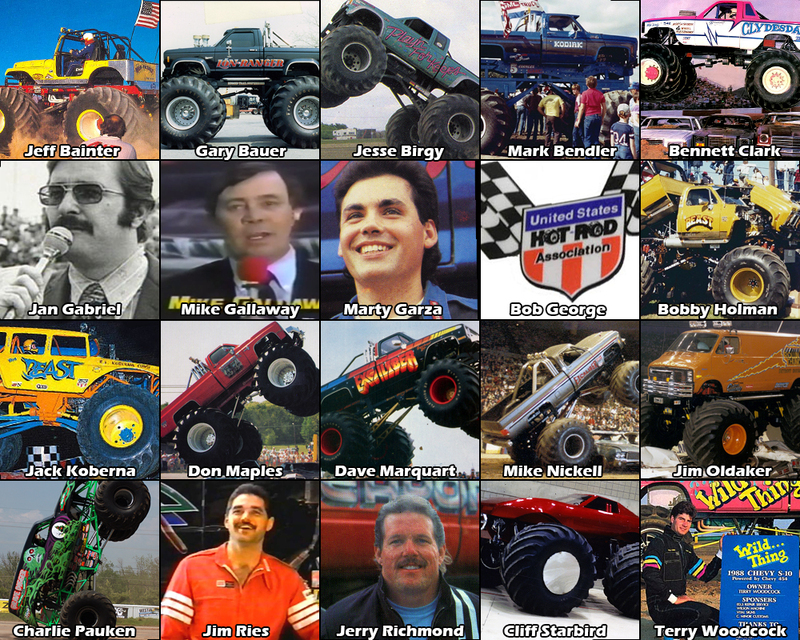 (Auburn, Indiana – IMTM PR) – The International Monster Truck Museum & Hall of Fame is very proud to officially announce the 20 nominees for the 2016 IMTM Hall of Fame class. Members of the official 2016 IMTM Nominating Committee, consisting of 25 people from all aspects of the monster truck industry, were charged with the process of narrowing the great number of candidates who have excelled in the monster truck industry over the years, down to an official voting ballot of 20 names. Each committee member submitted a form listing up to 20 names they wished to nominate, along with a brief explanation of the qualifications of each. The International Monster Truck Museum & Hall of Fame would like to congratulate each of these legendary monster truck figures on officially being nominated for induction into the IMTM Hall of Fame. We would also like to thank the 25 members of the Nominating Committee for their efforts in helping honor some of the most significant figures in the history of monster trucks. With the nominating process now complete, an official voting ballot will be created, listing all 20 nominees. Members of the IMTM Board of Directors, along with previous Hall of Fame Inductees will each receive a voting ballot. They will vote for 4 of the 20 nominees and return their ballot. The 4 nominees receiving the most votes will be inducted into the IMTM Hall of Fame on Saturday, November 12th in Auburn, Indiana. These 4 inductees will be announced to the public on Saturday, September 17th at the 4-Wheel Jamboree Nationals in Indianapolis, Indiana. Tickets to attend the 6th Annual IMTM Hall of Fame Induction Ceremony & Reunion will go on-sale Monday, September 5th and will be available online at www.MonsterMuseum.org. The International Monster Truck Museum & Hall of Fame was established in 2010 with the mission of collecting and archiving the history of the monster truck sport and related aspects of the high performance aftermarket, focusing upon capturing history from the surviving pioneers and legends. Each year, the International Monster Truck Museum will honor the most accomplished and significant people in the history of monster trucks with induction into its Hall of Fame. Through the accumulation of vehicles, oral histories, videos and still images, the International Monster Truck Museum & Hall of Fame will provide a documented history and an entertaining and educational retrospective display about the birth and growth of a purely North American year round motor sport that is geared toward the entire family and the industry it launched for future generations. More information on the International Monster Truck Museum & Hall of Fame can be found on the organization’s official website, www.MonsterMuseum.org. All of the latest news and updates can be followed on the organization’s Facebook at www.Facebook.com/MonsterMuseum.